I’ve had a move around, and the money tree has been moved to the back high walled garden (where it covers a patch of peeling paintwork!) I’m hoping a that the feng shui might work better than having it by the front gate where I’m convinced money just flew away! 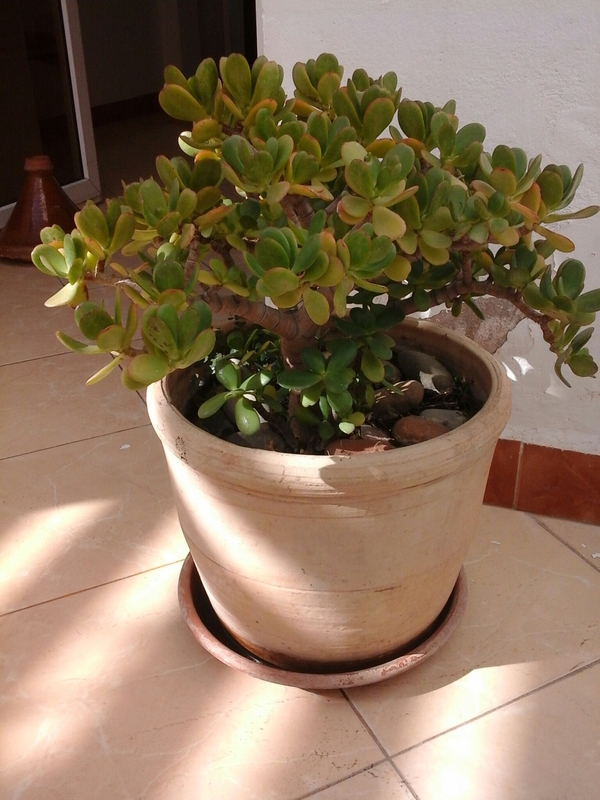 This entry was posted in Agadir, How does your garden grow on Sep 25, 2014 by ChristinaMaroc. I have always fancied a money tree – my father in law has a huge one and it blows my mind just how big they can get!